More images and more in your face! 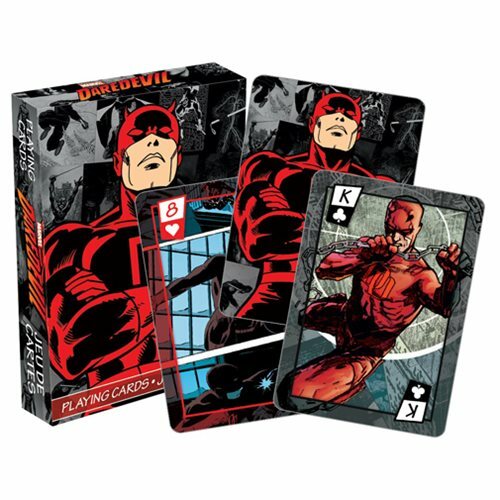 Just when you thought you'd seen it all, Matt Murdock appears on these fabulous Daredevil Playing Cards featuring 52 different images! The cards measure 3 1/2-inches tall x 2 1/2-inches wide and have a linen-type finish. Ages 13 and up.